Blogging started as a tool for personal expression and evolved into a tool for promoting careers and brands. Despite the evolution individual expression remains an important aspect of blogging. Apart from a basic tool for recording your thoughts online there is another dimension to blogging. It is known as professional blogging or pro-blogging. A problogger is one who uses blogging as a medium to gain fame, money or anything else – clients, new business, speaking opportunities – directly or indirectly as a result of blogging. Those who align individual expression to a bigger goal can benefit from it in many ways. But be aware that to benefit from blogging, one need to investment significant time and effort for a period of 1-2 years. 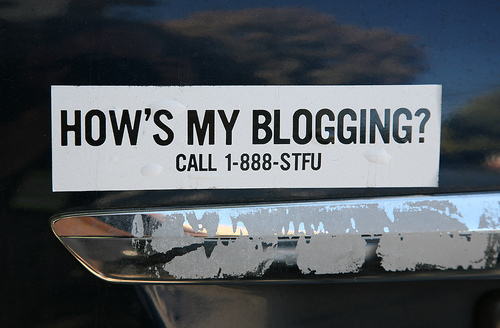 Let us discuss some ways – how individuals can benefit from professional blogging efforts. Learn to ship: If you decide to blog regularly – you will need to write and post it online on a regular basis. There are two important parts of the process – writing and putting it online. Writing and keeping it with you – where nobody sees it does not make you a professional – even a starter at it. You need to write and put it online. This is calling shipping as in shipping a product. If you will get into habit of shipping as a blogger then this will show in other parts of your life as habits tend to extend from one area of life to others. If you are in the habit of starting something and taking it to its commonsensical end; then this will reflect in other areas of your life. Starting a task and finishing it – and then delivering it to those who are expecting to see it – takes work, commitment and courage – so not many people do it on a regular basis. If you do it, you will create a special space for yourself; and you will be happy about it. Learn to be consistent: It is good to blog with a purpose. To fulfill this purpose you need to be consistent. Blogging success does not come in a day. As shared, it may many months or few years before you see any real success from your blogging efforts. All this while, you need to be regular and consistent in writing and shipping it. 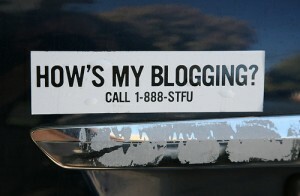 Helps you write better: Those aiming to improve their writing skills through blogging are thinking right. Regular blogging will help you become a better writer. If you write with intent of improving, seek reader feedback – your writing skills will improve. Blogging makes it easy to seek feedback. As you post an article or a small piece of writing – potentially entire world can see it. Even when the world is not seeing it you can share your writing with friends and seek their thoughts. Once you have more people reading it, they can provide feedback in form of comments at a time suitable for them. Make new friends: People who comment on your blog posts are likely to be likeminded people. A mutually beneficial relationship can emerge out of this connection. As a problogger you are seen as a part of an extended community and you can reach out to community for help and make connections. Increase your influence: When you write regularly and post sensible stuff, chances are people will find you. Search engines are one way that people find you. If you are really more serious about it then also help to use other ways to be found online – like guest blogging and commenting to add to the conversation on related blogs. Reach out to the world: If you have an idea that needs to be shared with the world then blogging can help you. Tim Ferris did it and took the idea of a “4-hour work week” to the world. You can also do it. Kyle Macdonald did with his One Red Paper Clip project where he traded a red paper clip with a house through a series of barter trades. If you an idea you think needs to be shared with world – then do share it; and when you do it – you will be able to reach out to the world. Help you earn money: Money earning need not be your primary goal. It should be to write well and let money come as a by-product. Having said that let me also share that money in my book is a good motive to work – when it is made ethically. So if you want to make money – look around and learn from people who are doing that with their blogs. Good news is that problogging for money is no hype – it is entirely possible as shown by bloggers like Michael Dunlop, Steve Pavlina, Leo Babauta and likes. Leo Babauta who was recently listed among the top 25 bloggers worldwide by New York Times – has created a significant business network. Starting with Zen Habits, a blog on simplicity he was able to launch a small network of blogs and later also started A-list Blogger Camp a membership coaching program in partnership with Mary Jacksh. And as much as I know about him –he is not stopping there. Then there is Mr. Problogger Darren Rowse who launched variety of ventures based on his blogging success. Brian Clark of CopyBlogger fame is also somebody wannabe probloggers can take inspiration from. These are big names but there are scores of other small niche bloggers who are reaping the benefits of a focused effort in growing a blog. Help launch writing, speaking career: If you have writing and professional speaking aspirations, blogs are the right point to start. Many bloggers have got book deals because of their blogs. Leo (Babauta) and Chris Guillebeau are the ones who have gained significant book deals in recent times because of their blogs. Help launch a business (empire): Techcrunch, Mashable are fairly established businesses and examples of super blogs started by individuals. They now employ a team of writers. It is not that only business or technology blogs that work. Personal blogs like Dooce became really big without talking about any high-end stuff. So blog about what your heart says. Try to get “YOU” – your own persona in – when you write. Help you fulfill your desire to help a lot of people: Teaching and sharing is a good way to help people. With a blog you can do so with a lot of people at little cost. Ok your time is an investment but when you teach you also learn – so you stand to gain from the act of sharing itself. Teachers can share their lessons with students through a blog. You can share your presentations with potential partners. Blogs can also help you gain good ranking in search engines and help you land a job. This we will explore later. What do you plan to use blogging for? Reading this has inspired me to start blogging. Thanks for the inspiration. Will come back with updates. I am happy for you, wish you success. Look forward to know about your progress. Next post How to retain clients?